Comexi, global provider of flexible packaging solutions, and Socipack, one of the leading companies in the Ivory Coast’s flexible packaging field, have strengthened their partnership. 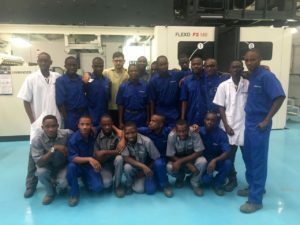 The Ivory Coast company has purchased a new Comexi flexographic press, F2 MB; a top-of-the-range laminator, Comexi Dual; and a slitter, Comexi S2 DT, which have already been installed in its headquarters located in Abidjan. Through this acquisition, Socipack strengthens its position in the Ivory Coast and African market as one of the fastest growing companies in the flexible packaging and food packaging sector. This new deal is also its second Comexi’s press, laminator and slitter acquisition. 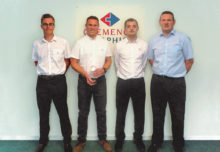 Moreover, technicians from Socipack staff were trained by the Manel Xifra Boada Technological Centre’s (Comexi CTec) experts in order to improve efficiency and productivity. With the newly purchased Comexi technologies, Socipack can produce a wider range of products and applications. Comexi’s area manager, Africa, Miquel Gironès, is very pleased with this new deal and said that this trade agreement: “strengths the close relationship between both companies.” Gironès added, “We are very grateful that Socipack have put their trust again in Comexi, we are sure that this new innovative equipment will accompany this leading company in its growth plans. Socipack’s managing director, Abdallah Hassan, has emphasised the synergy that has resulted from the agreement: “This deal has enhanced our productivity and brought to the light a new range of products in the African market as the demand for growth has evolved. The Comexi F2 MB press has been designed to satisfy the printing needs of medium runs in the flexible packaging field for the retail and wholesale channel. The Comexi F2 MB shares the group’s patented Flexo Efficiency concepts of ergonomics and accessibility as well as the performance and robustness of the rest of the F2 flexo press range. This includes the most advanced electronic systems to get the best quality print even at high speeds and printing on different substrates from plastic film to paper or laminated films. 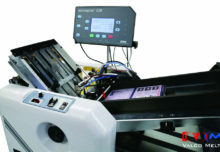 Versatility is one of the best words to define the Comexi Dual laminator. This machine covers all kind of applications in the flexible packaging sector, providing the perfect answer to those converters that want to expand business and offer different high added value solutions to customers. It can work with solvent and water based adhesives and lacquers, solventless adhesives and cold seals. Its three-roller lamination nip enables the best performance to be achieved in lamination processes. Comexi S2 DT is the group’s best-selling slitter. An all-purpose machine that slits most of the webs used in the flexible packaging market at a very high production rate, without any problems, due to its double turret exit.